The Peoria Chiefs dropped their third straight game with a 5-3 setback to the Beloit Snappers Sunday night at Dozer Park. The loss drops the Chiefs to 1-3 on the season as they prepare to host the Wisconsin Timber Rattlers on Monday. Just like game one, the Snappers got on the board in the top of the first against Chiefs starter Diego Cordero. Lester Madden led off with a single and advanced to second on an errant pickoff attempt from Cordero. Cobie Vance followed with a double to drive in Madden to put the Snappers ahead 1-0. After a scoreless first inning, Ivan Herrera tied the game at one in the bottom of the second with his second solo homerun, which also tied Lars Nootbaar for the team lead. After a scoreless third inning, the Snappers regained the lead in the top of the fourth. Nick Ward led off with a single and Ryan Gridley hit a two-run homerun off Cordero to put the Snappers up 3-1. Peoria was held scoreless in the bottom of the fourth, Beloit then pushed one run across in the top of the fifth. Madden started the inning with a flyout. Cordero, then surrendered the second homerun of the day for Beloit, Chase Calabuig’s solo homerun made the score 4-1. Vance was hit by Peoria reliever Freddy Pacheco in the top of the eighth. Pacheco walked the next batter Logan Farrar to put runners on first and second. After a popout and strikeout, Nick Osbourne singled and scored Vance from third to push the Beloit lead to 5-1. The bats for the Chiefs came alive in the bottom of the eighth against Snappers reliever Aiden McIntyre. Edwin Figuera walked and Nolan Gorman singled, which put runners on first and second. A balk during Brady Whalen’s at-bat put runners on second and third. Whalen grounded out to the first baseman, Gorman moved up to third and Figuera scored to cut the deficit to 5-2. Brendan Donovan then walked to put runners at the corners for Leandro Cedeno. Cedeno singled and Gorman scored to put Peoria down two. Lars Nootbaar walked to load the bases, but Ivan Herrera flew out to end the inning. Cordero (0-1) got the start and took his first loss of 2019 after pitching 5 1/3 innings, while surrendering six hits, four earned runs, three walks, and notching three strikeouts. Pacheco finished with 2 1/3 innings, allowing one hit, one earned run, one walk, and tallying five strikeouts. Fabian Blanco was the final reliever used for Peoria. He pitched 1 1/3 innings, allowing only one hit, and striking out one. The Chiefs start a four-game series at home against Wisconsin, Monday at 6:35 p.m. Promotions can be found on the team website or social media accounts. The Chiefs will start RH Dionis Zamora (0-0, 0.00) against Wisconsin RH Adam Hill (0-0, 0.00). 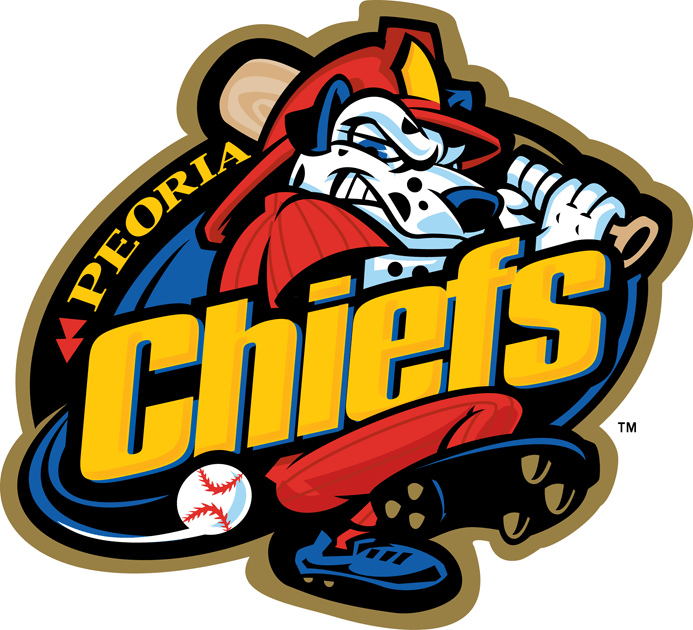 The broadcast can be heard, starting with the Pre-Game Show at 6:20 p.m. on the Peoria Chiefs Tune-In Page, which is free and also has a free app for smartphones and tablets. The game will also be available to watch on MiLB.TV for subscribers.